Josef is 16 and lives with his mother, Dorota, who was diagnosed with Bi-polar disorder seven years ago. Josef was born in England. His parents are Polish and his father sees him infrequently. This case study looks at the impact of caring for someone with a mental health problem and of being a young carer, in particular the impact on education and future employment. Josef lives in a small town with his mother Dorota who is 39. Dorota was diagnosed with Bi-polar disorder seven years ago after she was admitted to hospital. She is currently unable to work. Josef’s father, Stefan, lives in the same town and he sees him every few weeks. Josef was born in England. His parents are Polish and he speaks Polish at home. Josef is doing a foundation art course at college. Dorota is quite isolated because she often finds it difficult to leave the house. Dorota takes medication and had regular visits from the Community Psychiatric Nurse when she was diagnosed and support from the Community Mental Health team to sort out her finances. Josef does the shopping and collects prescriptions. He also helps with letters and forms because Dorota doesn’t understand all the English. Dorota gets worried when Josef is out. When Dorota is feeling depressed, Josef stays at home with her. When Dorota is heading for a high, she tries to take Josef to do ‘exciting stuff’ as she calls it. She also spends a lot of money and is very restless. Josef worries about his mother’s moods. He is worried about her not being happy and concerned at the money she spends when she is in a high mood state. Josef struggles to manage his day around his mother’s demands and to sleep when she is high. Josef has not told anyone about the support he gives to his mother. He is embarrassed by some of the things she does and is teased by his friends, and he does not think of himself as a carer. Josef has recently had trouble keeping up with course work and attendance. He has been invited to a meeting with his tutor to formally review attendance and is worried he will get kicked out. Josef has some friends but he doesn’t have anyone he can confide in. His father doesn’t speak to his mother. Josef sees some information on line about having a parent with a mental health problem. He sends a contact form to ask for information. Someone rings him and he agrees to come into the young carers’ team and talk to the social worker. You have completed the assessment form with Josef in his words and then done a support plan with him. 1997 Josef’s mother and father moved to England from Poznan. Both worked at the warehouse – Father still works there. 11.11.1999 Josef born. Mother worked for some of the time that Josef was young. 2006 Josef reports that his mother and father started arguing about this time because of money and Josef’s mother not looking after household tasks. Josef started doing household tasks e.g. cleaning, washing and ironing. 2008 Josef reports that his mother didn’t get out of bed for a few months. Josef managed the household during this period. October 2008 Josef reports that his mother spent lots of money in catalogues and didn’t sleep. She was admitted to hospital. Mother was in hospital for 6 weeks and was diagnosed with bipolar disorder. May 2010 Josef’s father moved out to live with his friend Kat. Mother started on different medication and had regular visits from the Community Psychiatric Nurse. Josef said that the CPN told him about his mum’s illness and to let him know if he needed any help but he was managing ok.
Josef saw his father every week for a few years and then it was more like every month. Father does not visit Josef or speak to his mother. 2013/14 Josef reports that his mother got into a lot of debt and they had eviction letters. Josef’s father paid some of the bills and his mother was referred by the Community Mental Health Team for advice from CAB and started getting benefits. Josef started doing the correspondence. 26 Feb 2016 Josef got a letter from his tutor at college saying he had to go to a formal review about attendance. Josef saw information on-line about having a parent with a mental health problem and asked for some information. 2 March 2016 Phone call from young carer’s team to Josef. Josef agreed to come in for an assessment. 4 March 2016 Social worker meets with Josef. Carer’s assessment and support plan completed. 7 March 2016 Paperwork completed. Sent to Josef. Do you look after or care for someone at home? The questions in this paper are designed to help you think about your caring role and what support you might need to make your life a little easier or help you make time for more fun stuff. Please feel free to make notes, draw pictures or use the form however is best for you. What will happen to this booklet? This is your booklet and it is your way to tell an adult who you trust about your caring at home. This will help you and the adult find ways to make your life and your caring role easier. The adult who works with you on your booklet might be able to help you with everything you need. If they can’t, they might know other people who can. I understand what my worker will do with this booklet and the information in it (written above). Do you need any support with communication? *Josef is bilingual – English and Polish. He speaks English at school and with his friends, and Polish at home. Josef was happy to have this assessment in English, however, another time he may want to have a Polish interpreter. It will be important to ensure that Josef is able to use the words he feels best express himself. 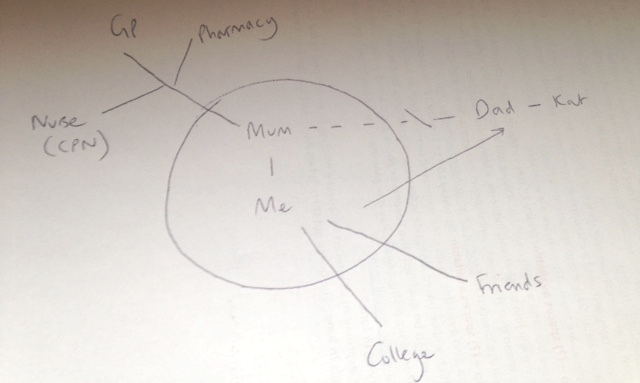 I look after my mum who has bipolar disorder. Mum doesn’t work and doesn’t really leave the house unless she is heading for a high. When Mum is sad she just stays at home. When she is getting hyper then she wants to do exciting stuff and she spends lots of money and she doesn’t sleep. Do you wish you knew more about their illness? Do you live with the person you care for? It depends on if my mum has a bad day or not. When she is depressed she likes me to stay home with her and when she is getting hyper then she wants me to go out with her. If she has new meds then I like to be around. Mum doesn’t understand English very well (she is from Poland) so I do all the letters. I help out at home and help her with getting her medication. Tell us what an average week is like for you, what kind of things do you usually do? Get up, get breakfast, make sure mum has her pills, tell her to get up and remind her if she’s got something to do. Please tell us about any other support the person you care for already has in place like a doctor or nurse, or other family or friends. The GP sees mum sometimes. She has a nurse who she can call if things get bad. Mum’s medication comes from Morrison’s pharmacy. Dad lives nearby but he doesn’t talk to mum. Mum doesn’t really have any friends. Do you ever have to stop the person you care for from trying to harm themselves or others? On a normal week, what are the best bits? What do you enjoy the most? On a normal week, what are the worst bits? What do you enjoy the least? What things do you like to do in your spare time? Do you feel you have enough time to spend with your friends or family doing things you enjoy, most weeks? Do you have enough time for yourself to do the things you enjoy, most weeks? 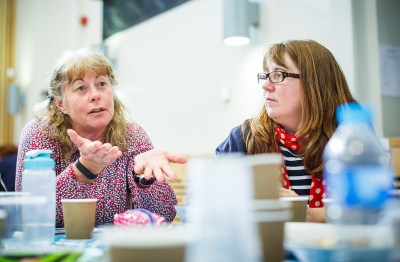 Are there things that you would like to do, but can’t because of your role as a carer? Can you say what some of these things are? Do you think being your caring role makes school/college more difficult for you in any way? If you ticked YES, please tell us what things are made difficult and what things might help you. I am really worried they will kick me out because I am behind and I miss class. I have to meet my tutor about it. Do your teachers know about your caring role? Are you happy for your teachers and other staff at school/college to know about your caring role? Do you think that being a carer will make it more difficult for you to find or keep a job? Why do you think being a carer is/ will make finding a job more difficult? I haven’t thought about it. I don’t know if I’ll be able to finish my course and do art and then I won’t be able to be an artist. Who will look after mum? What would make it easier for you to find a job after school/college? Do you feel confident both in school and outside of school? In your life in general, how happy do you feel? In your life in general, how safe do you feel? How healthy do you feel at the moment? Do you think people listen to what you are saying and how you are feeling? Do you think that you’re free to make your own choices about what you do and who you spend your time with? Is there anybody who knows about the caring you’re doing at the moment? Would you like someone to talk to? Who can I turn to for advice or support? Would you like a break from your caring role? How easy is it to see a Doctor if you need to? 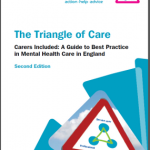 To be used by social care assessors to consider and record measures which can be taken to assist the carer with their caring role to reduce the significant impact of any needs. This should include networks of support, community services and the persons own strengths. To be eligible the carer must have significant difficulty achieving 1 or more outcomes without support; it is the assessors’ professional judgement that unless this need is met there will be a significant impact on the carer’s wellbeing. Social care funding will only be made available to meet eligible outcomes that cannot be met in any other way, i.e. social care funding is only available to meet unmet eligible needs. Josef provides daily support to his mum, Dorota, who was diagnosed with bipolar disorder seven years ago. Josef helps Dorota with managing correspondence, medication and all household tasks including shopping. When Dorota has a low mood, Josef provides support and encouragement to get up. When Dorota has a high mood, Josef helps to calm her and prevent her spending lots of money. Josef reports that Dorota has some input from community health services but there is no other support. Josef’s dad is not involved though Josef sees him sometimes, and there are no friends who can support Dorota. Josef is a great support to his mum and is a loving son. He wants to make sure his mum is ok. However, caring for his mum is impacting: on Josef’s health because he is tired and stressed; on his emotional wellbeing as he can get angry and anxious; on his relationship with his mother and his friends; and on his education. Josef is at risk of leaving college. Josef wants to be able to support his mum better. He also needs time for himself, to develop and to relax, and to plan his future. Please ensure you read the statement below in bold, then sign and date the form. I understand that completing this form will lead to a computer record being made which will be treated confidentially. The council will hold this information for the purpose of providing information, advice and support to meet my needs. To be able to do this the information may be shared with relevant NHS Agencies and providers of carers’ services. This will also help reduce the number of times I am asked for the same information. If I have given details about someone else, I will make sure that they know about this. I understand that the information I provide on this form will only be shared as allowed by the Data Protection Act. Josef has given consent to share this support plan with the CPN but does not want it to be shared with his mum. 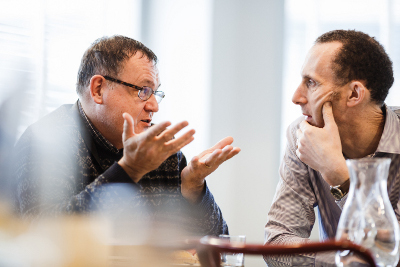 The social work role with carers in adult mental health services has been described as: intervening and showing professional leadership and skill in situations characterised by high levels of social, family and interpersonal complexity, risk and ambiguity (Allen 2014). Social work with carers of people with mental health needs, is dependent on good practice with the Mental Capacity Act where practitioner knowledge and understanding has been found to be variable (Iliffe et al 2015). Social work with carers of people with mental health needs, is dependent on good practice with the Mental Capacity Act where practitioner knowledge and understanding has been found to be variable (Iliffe et al 2015). 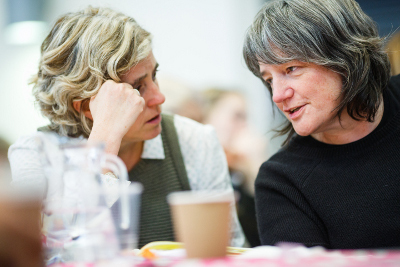 Research highlights important issues about involvement, consent and confidentiality in working with carers (RiPfA 2016, SCIE 2015, Mental Welfare Commission for Scotland 2013). A young carer is defined as a person under 18 who provides or intends to provide care for another person. The concept of care includes practical or emotional support. It is the case that this definition excludes children providing care as part of contracted work or as voluntary work. However, the local authority can ignore this and carry out a young carer’s need assessment if they think it would be appropriate. Young carers, young adult carers and their families now have stronger rights to be identified, offered information, receive an assessment and be supported using a whole-family approach (Carers Trust 2015). Tool 3: Young carers’ rights – The Children’s Society (2014) The Know Your Rights pack for young carers in England! The Care Act places a duty on local authorities to assess young carers before they turn 18, so that they have the information they need to plan for their future. This is referred to as a transition assessment. Guidance, advocating a whole family approach, is available to social workers (LGA 2015, SCIE 2015, ADASS/ADCS 2011). Transition moments are highlighted in the research across the life course (Blythe 2010, Grant et al 2010). Complex transitions required smooth transfers, adequate support and dedicated professionals (Petch 2010). Understanding transition theory remains essential in social work practice (Crawford and Walker 2010). 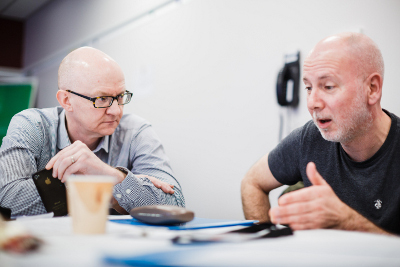 Partnership building expertise used by practitioners was seen as particular pertinent to transition for a young carer (Heyman 2013). that capacity assessors often do not reflect upon the extent to which their ‘protection imperative’ has influenced an assessment, which may lead them to conclude that a person’s tolerance of risks is evidence of incapacity. 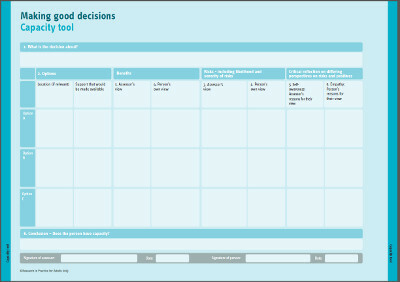 The tool allows you to follow steps to ensure you support people as far as possible to make their own decisions and that you record what you have done. This pack aims to make you aware of your rights – your human rights, your legal rights, and your rights to access things like benefits, support and advice. Need to know where to find things out in a hurry? Our pack has lots of links to useful and interesting resources that can help you – and help raise awareness about young carers’ issues! 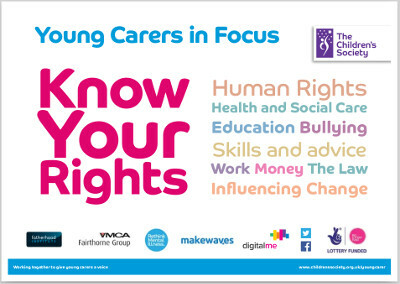 Know Your Rights has been produced by Young Carers in Focus (YCiF), and funded by the Big Lottery Fund. You can use this tool to consider how well adults’ and children’s services work together, and how to improve this. What are the risk, stressors and vulnerability factors? How is the child/ young person’s wellbeing affected? How is the adult’s wellbeing affected? 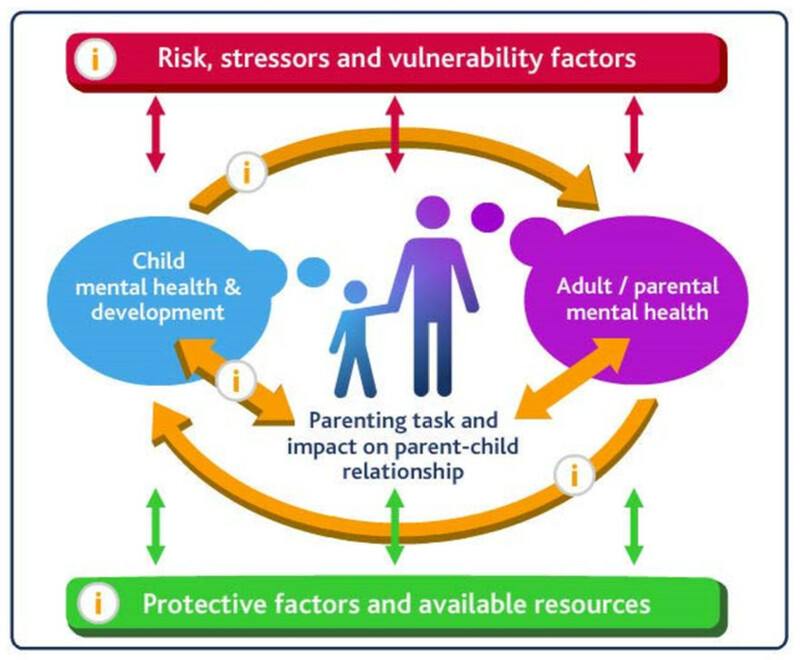 What are the protective factors and available resources? Young carers have told us these ten things are important. So we will do them. Introduce yourself. Tell us who you are and what your job is. Give us as much information as you can. Tell us what is wrong with our parents. Tell us what is going to happen next. Talk to us and listen to us. Remember it is not hard to speak to us we are not aliens. Ask us what we know and what we think. We live with our parents; we know how they have been behaving. Tell us it is not our fault. We can feel guilty if our mum or dad is ill. We need to know we are not to blame. Please don’t ignore us. Remember we are part of the family and we live there too. Keep on talking to us and keeping us informed. We need to know what is happening. Tell us if there is anyone we can talk to. Maybe it could be you.